We’re in the business of developing the skills of some 10,000 young people across four Advanced Apprenticeship frameworks. So it will come as no surprise that we’re equally focused on helping our own employees to progress. We’re proud to have held Investors in People status since 1995 and we make sure that every member of our team has the training they need to perform well in their particular roles. This is not a one-way process, of course. Join our team and you will actively shape your own development – discussing your future training needs at six-monthly appraisal meetings, for instance. What’s more, learning and development is a continuous process. When you take on new responsibilities, or are asked to adopt new policies or procedures, we’ll make sure you have all the training you need, from one-to-one coaching to specially tailored courses. That’s great for your career, but it’s also vital to the performance of our wider business. 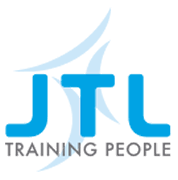 Only by giving you the support and development opportunities you need can we continue to increase productivity, build greater engagement, reduce costs and retain your knowledge and skills within JTL. That’s what being a leader is all about.